Bree is 9 months and 1 week old today!! Holy goodness – SLOW DOWN! magically get off our family bed, without injury, to play on the floor before waking daddy; he only thought something was up when the monitor was making weird noises. She was playing with it! We love her soooo very much!! Happy 9 months little bug! Sewing creations and other noteworthy things! Wow! Haven’t posted in awhile… first few months of this year I wasn’t feeling all too well thanks to baby number 2 (due Sept 6/13)! 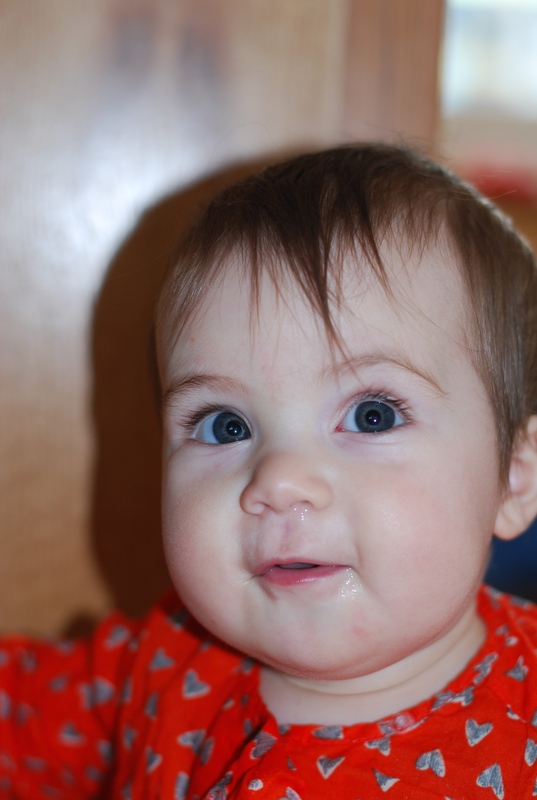 And Paige (+ 3 days per week of outside-of-the-home work) keeps me pretty busy. I’ve also been meaning to post funny things she says, but have been falling behind in even my note book. One recent thing she said to Oma, in reference to the explanation that Oma gave about trucks needing gas to keep running like she does, was that “trucks do not have legs”. At the wedding, she adorably walked up to James, who was keeping an eye on her while she danced as our table was far from the dance floor, and said “Daddy can you go bye-bye? Go sit with mommy”. Hopefully I will recall some more soon and then post those! 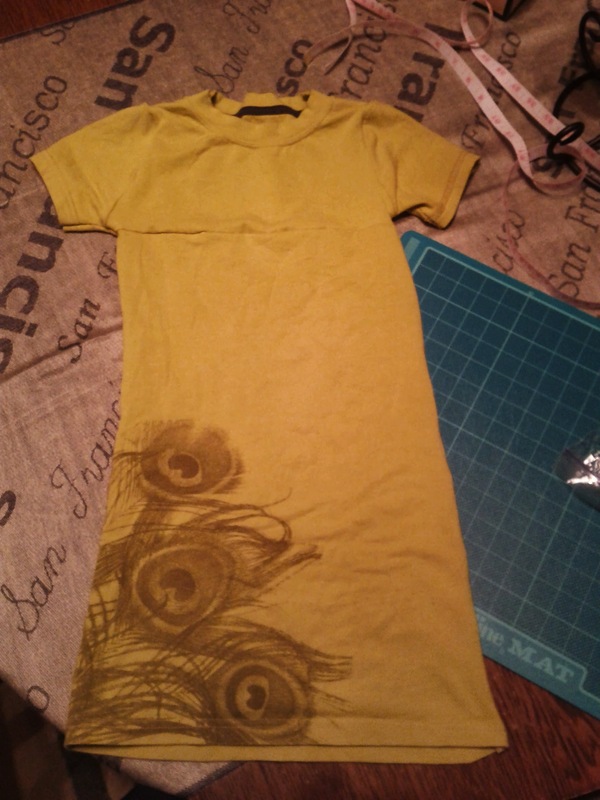 Here is the first of the dresses I made. Both are from my T-shirts. For the green one I followed my own pattern, being able to keep the original bottom hem, part of the sleeves and the neck (albeit needed to detach and reattach them all). I also had to add the seem in the upper midsection as I immediately cut the bottom right (picture’s left) side of the original shirt off to keep the pattern; then I reattached it so that section was centered in the top portion. The red one (not shown) is loosely base off a pattern I got a couple of years ago (warhol dress). Once that one is clean I will get Paige to model it as well! 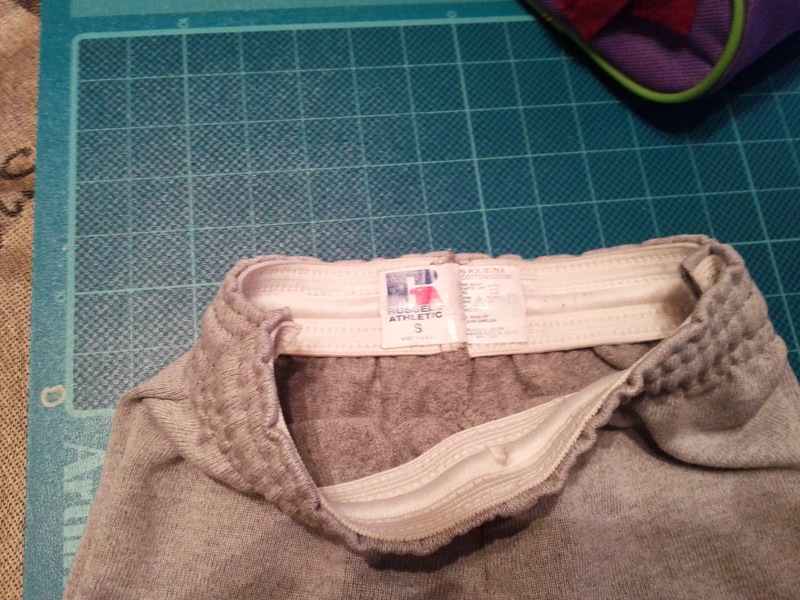 Here are the capris I made using my (or a sibling’s) very old Russel athletic shorts. Considering I once again made up my own pattern, and it worked out, I need to start chronicling the process! I basically just folded the original shorts in half, laid a pair of capris that fit Paige over top with crotch seems matching. Then I cut to make the outside leg width (leaving about 3/4 inch seem allowance), and cut down for the inside of the leg from where the shorter crotch of her pants would be. Then I sewed the inside of the legs, then the outside of the legs. I even just found a perfect stitch for doing it!!! The “best” is to use a serger (which I do not own); but I found a great overlocking stitch on my machine that simultaneously does a straight (edge) stitch with a zig-zag outer stitch. In the past I’ve had to do those two stitches separately, but became lazy and just skipped the zig-zag altogether. 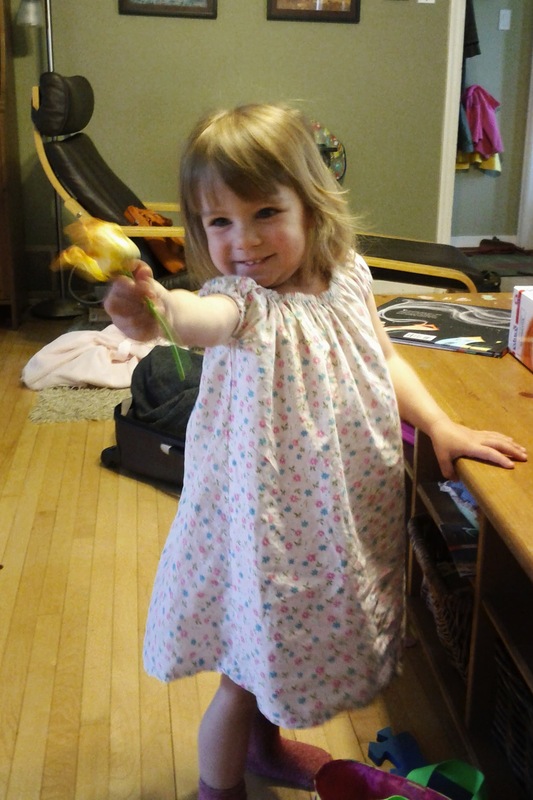 And although I do not have picture evidence, these capris are incredibly adorable on Paige! Most pants do not fit her well as her legs are so thin. I am definitely making her many pants from now on! The other shorts I made were from my mom’s old shirt. 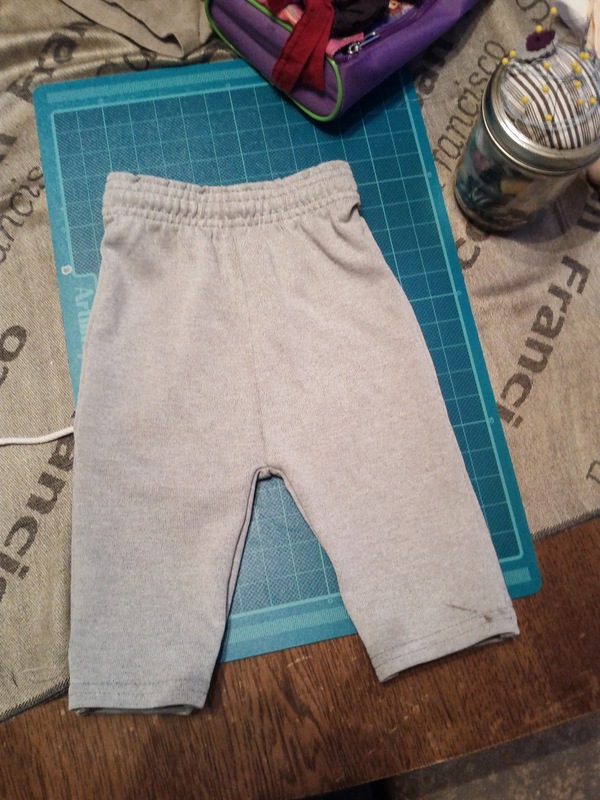 I followed instructions from a book I recently bought “The Creative Family“, but made shorts instead of pants. Those also fit her very well! Kids have such cute little butts! !